We eat with our eyes first and a beautiful presentation full of gorgeous goodness and colour certainly whets the appetite. How delicious ( not to mention healthy!) is a colourful salad? As our gardens ripen with a rainbow bounty, a healthy and stunning harvest never tasted - or looked - so good! 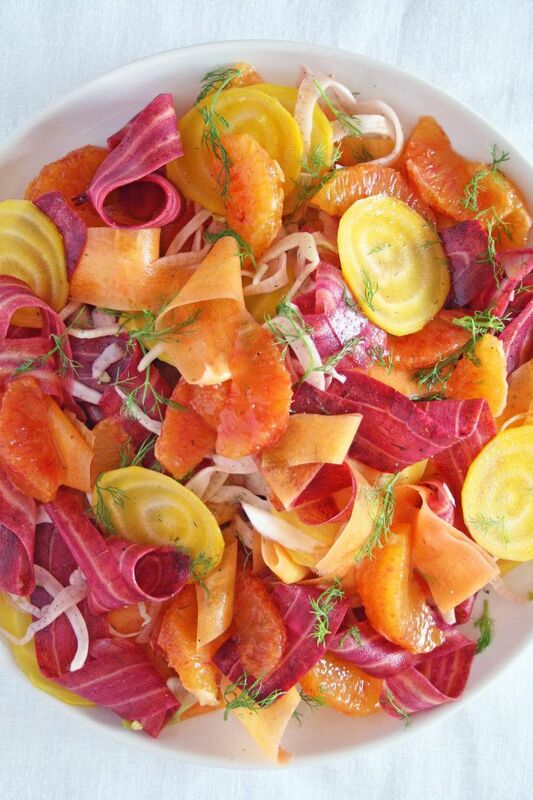 Yellow beets, carrots and blood oranges create a bright salad - perfect for a Sunday morning brunch! 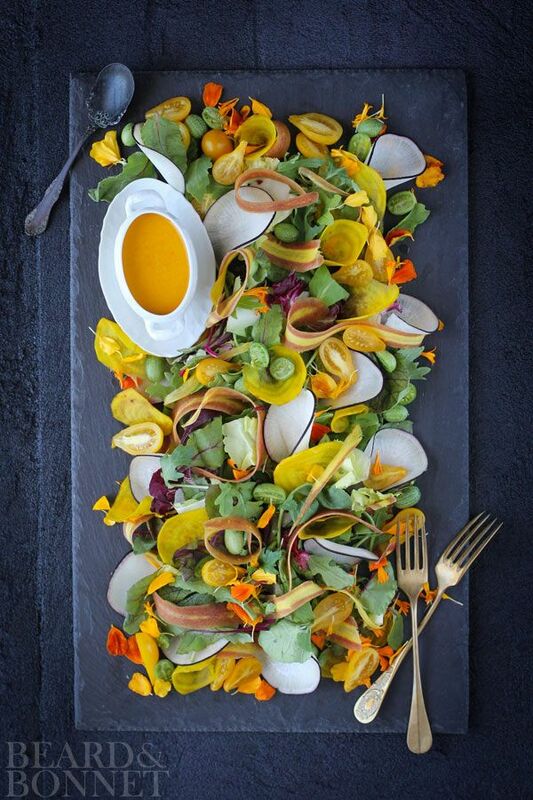 Ribbons of heirloom carrots compliment this salad. 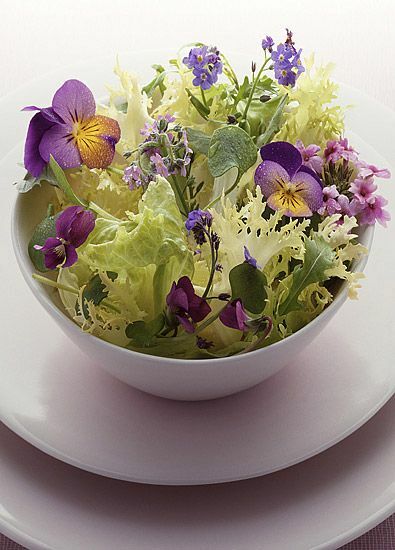 I love how edible flowers elevate a green salad. So pretty! It's like a work of art on your plate. Or a flower garden in your bowl. Purple kale or cabbage add a pop of colour. And I love this 'Blue' salad. But even a monochromatic salad in vibrant shades of green looks amazing. 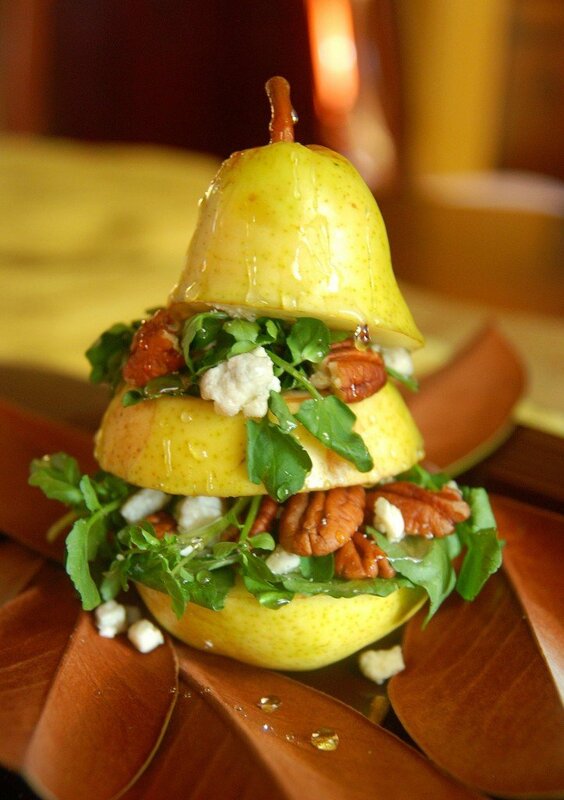 I will be waiting for pear season to makes this vertical yellow and green salad. But if you can't decide on a colour, go for the rainbow. 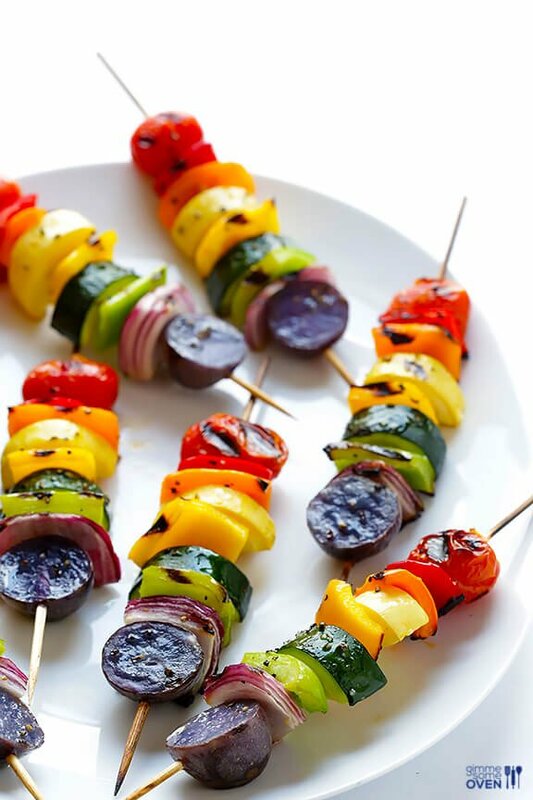 Or rainbow grilled veggies as a salad on a stick. 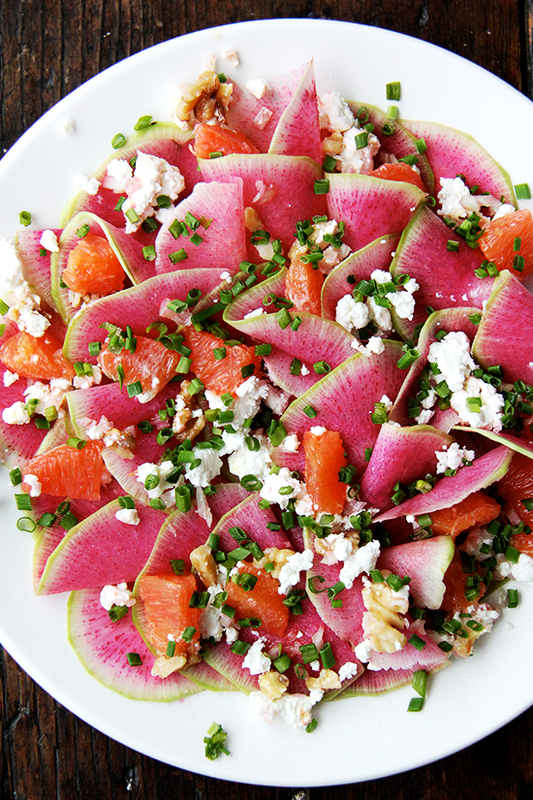 As summer arrives, eat healthy, show your true colours and have fun with your salad.